Mexicali is ranked among the world’s most polluted regions with water and air pollution especially at damaging levels. 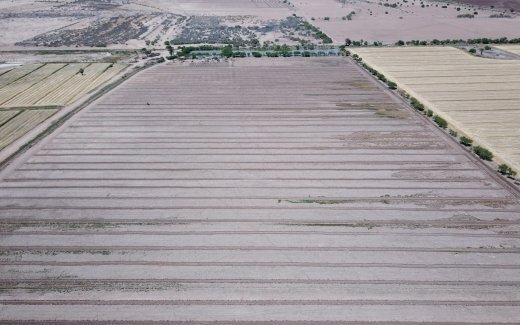 Formerly a region specialized in cotton production, many of the fields around the urban area’s in the state have exhausted the nutrients and ground water levels so significantly that flying over Mexicali is like looking down on a patchwork in varying shades of brown. 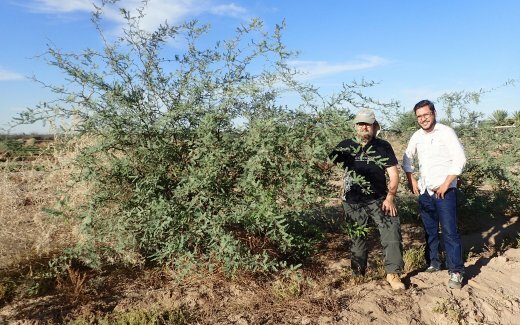 Land Life has partnered with a local landowner in Bartolo, Mexicali, to set up a large-scale reforestation project using Land Life’s technology toolbox to help trees establish in this notoriously challenging region without irrigation. after a successful demonstration planting in May (90% survival), large-scale planting will commence in the Fall of 2018 when we will plant 8,000 trees using the Cocoon technology and other innovative planting techniques to maximize the existing rainfall and improve chances for these Mequite trees to revitalize these degraded former farmland. 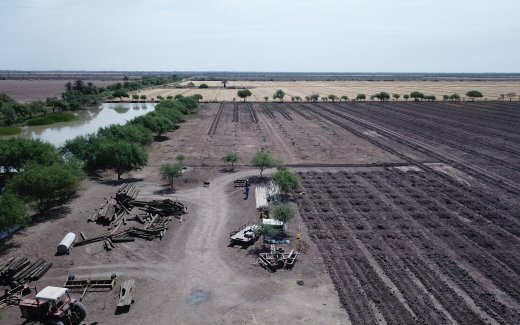 In May 2018, the Mexico Land Life team captured drone footage of the full area to be reforested (50 hectares) to be able to establish a baseline for the monitoring of NDVI (biomass growth over time), tree vigor and soil health.